Bandini and Victor Vox are hosting a night of music, storytelling and theater at the Jamboree. Expect mysterious blues, storytelling and comedy for a night of immersive entertainment! On this occasion Bandini will be presenting his single Late Night Show performing on stage with the full band! Inspired by the story of a night out in the effervescent streets of London, Late Night Show is the first single from Bandini’s upcoming album Barflies. Produced by renowned UK soul artist Camelle Hinds, Late Night Show is a get up and dance track which combines the flavour of blues with gipsy rock’n’roll vibes, sure to become a smashing hit. Bandini’s performances have been described as an event, rather than simply a gig, expect nothing less from this upcoming show where he’ll be supported by his full band (10 pieces). Supporting Bandini on the night will be Victor Vox, a London based performer and songwriter playing a sophisticated mix of blues, rock and folk music, soulfully blending his background in world music with his passion for storytelling. He is accompanied on stage by two of London’s finest musicians - Yaron Stavi on double bass (David Gilmour, Richard Galliano) and Adam Hayes on drums (Beatie Wolf, Grace Moon & The Jaguar). Late Night Show will be available for streaming on YouTube, Soundcloud and Bandcamp starting February 2nd. Bandini will be playing at Sofar Sounds London. You’ll have the chance to listen to Bandini's first single "Late Night Show" in an intriguing intimate set before the launch party with the full band at the Jamboree with Victor Vox! In Teaser #4 Bandini talks about his producer Camelle Hinds (Style Council, Central Line), from the early moments at LCCM London to their journey at Perry vale Studios. In the 3rd teaser of "The Making of Barflies" Bandini talks about his band, key part of the sound of the album and the live show. Bandini and the Bandino’s is a night of immense pleasure. Set amongst a backdrop that feels like what Andy Warhol would do with a disused London tube station you are sure to be tickled by both musical and performative treats. The evening’s menu begins with a tasty starter in the form of singer songwriter Meg Cavanaugh whose charm was topped only by her talent. On stage alone with just a guitar for company she offered up a raw and honest set. Her style floated between Bobby Gentry and a calmer Janis Joplin but it was in the song she’d written for Amy Winehouse that you saw her heart. It must also be noted that Miss Cavanaugh is very skilled at imitating a trumpet. Our main dish Bandini enters like a drunk Leonardo DiCaprio if the Titanic was heading towards an Italian funk party and he holds this charisma throughout his performance with the help of a female force of backing vocalists called ‘The Voodoos’. We watch his tongue in cheek costume changes with glee and hear his to the side comments like ‘shall we take it to the bridge’ thinking James Brown would most definitely approve. Bandini sits in the middle of his musicians like a baby safe in the womb of its mother. We are given percussionists, a saxophonist, a bassist and a guitarist in addition to ‘The Voodos’. Bandini is the focus but they are the support that makes him so easy to focus on. They are skilled performers and you feel safe in their company. The easiest way to describe their sound is to imagine what would happen if Tom Waits met Santana and they decided to jam. Interludes such as Bandini’s reference to the “see it, say it, sort it” announcements frequently heard on the tube made the crowd chuckle with glee whilst highlighting how the question of what looks ‘right’ makes creativity roll its eyes. It was these pieces and interactions with the crowd that made the night a show, an event, rather than simply a gig. My personal favourite was when one of ‘The Voodos’ went on tinder and asked if the men she was swiping on were in the audience. To say the evening was colourful would be an understatement. It was a delightful spectrum of music, humour, funk, soul and love. And you leave only wanting more. For one night only Proud Camden is hosting a night of incredible music and comedy with an all killer, no filler line up. Australian comedy rock artist Huw Joseph and his Immoral Support band will be headlining the night. The gifted and talent of quirky Italian songwriter Bandini and his band The Barflies, will be performing a one of set with a special guest, just after the opening of the prolific US songwriter Meg Cavanaugh, will all combine to bring the Cabaret Room roof down. Doors open at 1930 and tickets are on sale now for £9 - £7 concessions. 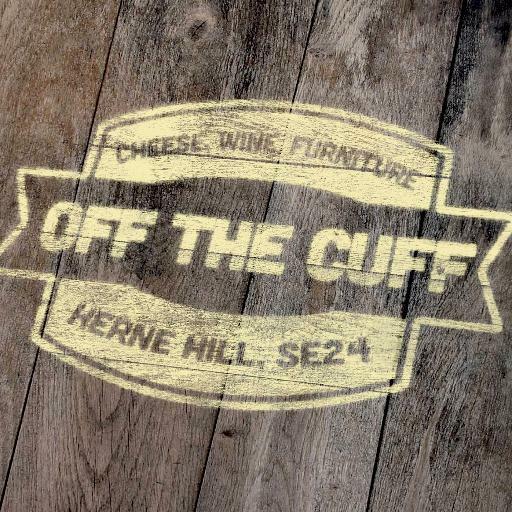 Bandini next show will be at Off the Cuff, Herne Hill on the 20th April. Off the Cuff offer a great amount of support for new music, and their attention to detail ensures a large stage, epic lighting and is one of the best intimate venues in London. With Bandini's first gig out of London, being packed to the rafters at Mr. Wolfs, it was fantastic. Opening the night was Man in the Lake, who incredible 4 piece band, literally had everyone clapping and dancing, before being whisked away into the mind of Bandini. Big thanks to everyone involved and for coming to see the show. Without you all, it would of just been a man on a stage...... alone. Keep an eye out for future dates in Bristol and surrounding areas soon. Bandini is proud to announce that will be part of Sofar Sounds Monday the 27th of March. Sofar Sounds is one of the most interesting reality in the music world at the moment. Hosted artists such as Leon Bridge, Bastille, and many more. A private intimate gig in a secret location which bring back magic to the music. Catch the fist Bandini show outside London backed by the Barflies (10 pieace band). Bandini is being supported by the super-talented The Man & the Lake and their Gypsy Folk. 'Such a Night' produced by Camelle Hinds (Paul Weller, Style Councli) and recorded at Perry Vale, London with his band The Barflies. The childhood friendship of Bandini and Mattila has crossed cities and countries, with their passion for music. Bandini's last performance for Mattila was at his wedding only last year and this reunion has all the sparks to ignite the fire of what will continue this record breaking year. Bandini will be supporting The Kubricks at the amazing Paper Dress Vintage, Hackney, for their Album launch on 31st March. Entry is a suggested donation of only £5 and with support acts including Mariska Martina with her elegant display of Jazz, this will ensure this launch will not be forgotten. Bandini being backed by all the Barflies, do not allow yourself to wake up as the April Fool. Bandini will be performing live at "A Sunday Kind of Love" at The Finsbury, London. Taking to the stage with a semi acoustic set and a stripped back Barflies, Bandini will be performing his stories and experiences of Milan and London. Continuing his theatrical stage presence and emotional rides, this is a perfect occasion to share an intimate Sunday night with a performer who will whisk you away through Europe. Entry is free and Bandini will begin 2100. After a fantastic single launch at the Jamboree, Bandini is now promoting Such a Night around London. Next stop 18th of February at Proud Camden presented by Camden Rocks. “Such a Night” will be released the 13th January and to celebrate Bandini will be launching the single @ the Jamboree in London. Come down and grab a copy!